Nussbaumer Cares! - Nussbaumer & Clarke, Inc.
October is National Breast Cancer Awareness Month. 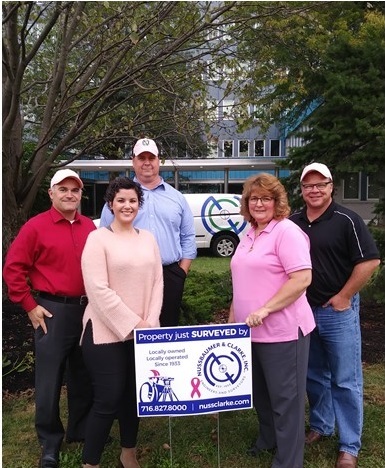 This year, Nussbaumer & Clarke, Inc. will be adding pink ribbons and hard hats to our lawn signs in an effort to raise awareness and money for research and caregiving. We wanted join the effort to bring an end to cancer as so many people have been diagnosed by this terrible disease, including members of our own Nussbaumer family.